The Quality Hotel Skifer in central Oppdal is located two hours south of Trondheim. Enjoy 176 rooms, conference facilities, a great restaurant, a relaxation area and stunning natural surroundings. Ideal for business and pleasure. Cash-free hotel. 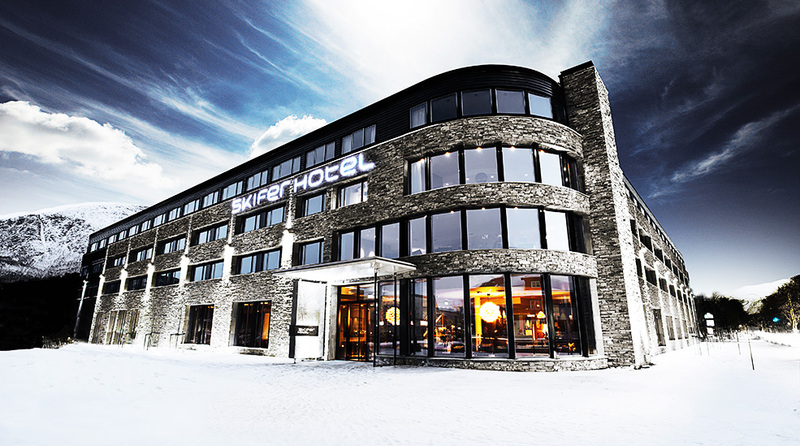 Quality Hotel Skifer is located in the heart of Oppdal, two hours south of Trondheim. 176 rooms, modern and flexible conference rooms, a restaurant and relaxation area all set in beautiful surroundings, make this hotel an excellent choice for everything from meetings and conferences, to holidays and outdoor experiences. Here in central Oppdal, 545 metres above sea level, surrounded by the Trollheimen mountain range and Dovre National Park, lies Quality Hotel Skifer. The hotel is close to both the bus and train stations, and just outside the hotel doors you'll find shopping centres, restaurants, a market hall, cultural centre with cinema, library, swimming pool and much more. Our 176 hotel rooms are modern, comfortable and decorated in soft, natural colours. We have rooms for every requirement – you can choose from double rooms, family rooms and suites. We also have 23 rooms adapted especially for our disabled guests. Most rooms have a mountain view and all rooms have free WiFi and a TV. Find out more about our different rooms here. Quality Hotel Skifer is cash-free, which ensures added security for our guests and visitors. More information about this can be found under FAQs. À la carte restaurant with open kitchen and lobby bar. We know that good food, carefully-selected drinks and entertainment are what make a great stay. You'll find our à la carte restaurant and open kitchen in the heart of the hotel, where you can watch our chefs create their delicious meals from the region's fresh seasonal ingredients. Sink into the comfortable seating in the lobby bar and enjoy a light snack with something good to drink. More information about the restaurant here. After an eventful day, a visit to our relaxation area could be just what you need with gym, showers, foot bath, Finnish sauna and steam room, as well as great views of the ski slopes. If you'd like to treat yourself to something extra special, Minera Velvære also offers spa treatments. Find out more here. Conference or event in an exceptional environment. Quality Hotel Skifer offers a modern and flexible conference area with a total capacity of up to 300 people. We'll gladly help with the arrangements for your conference, kick-off meeting or party. Find out more about our conference and event options here. A perfect base for all kinds of winter and summer experiences. Just walking distance or a short drive from the hotel is one of the largest alpine areas, mile after mile groomed for cross country skiing in winter, as well as a number of hiking and biking trails in the summer. We'll share our ideas for all kinds of activities with you. In addition to skiing and cycling, you can choose from curling, golf, fishing, musk ox safaris and rafting, as well as lots of team building activities. The hotel's distinctive façade is built from local slate and the special stone theme also runs through the interior. The stone, wood and woollen textiles all combine to create a warm, friendly atmosphere. We hope to see you very soon at Quality Hotel Skifer!